A prominent Israeli legal advocacy group is urging the U.S. Internal Revenue Service to investigate the Presbyterian Church USA for engaging in what it describes as “a range of prohibited activities under U.S. tax law” that are focused on the vilification of the State of Israel. Shurat HaDin (Israel Law Center,) a group which combats anti-Israel and anti-Semitic activities through legal action, is seeking the revocation of PCUSA’s tax-exempt status. 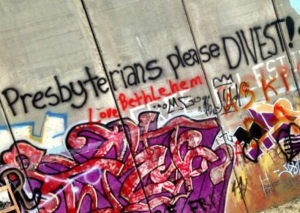 Tension between the PCUSA and Jewish groups has been rising since the church voted at its July 2013 General Assembly to divest approximately $21 million of its shares in Caterpillar, Hewlett-Packard and Motorola on the grounds that these companies conduct business in the Israeli-controlled West Bank. Segun tomado de, http://www.algemeiner.com/2014/12/04/israeli-legal-advocacy-group-urges-irs-to-strip-presbyterian-church-of-non-profit-status/ el jueves, 4 de nov. de 2014. Next Post ¿Cuál es la Diferencia Entre Ortodoxo, Conservador y Reformista?